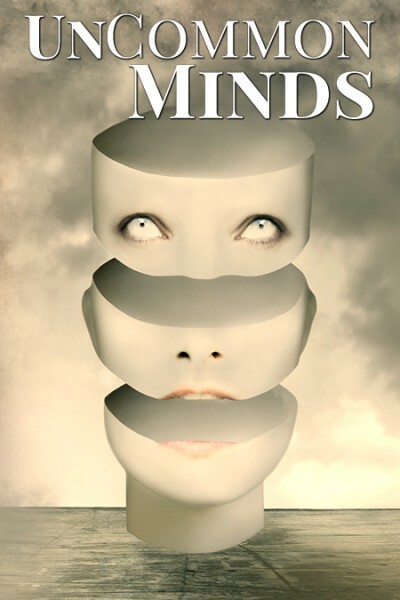 The UnCommon Minds anthology was published today. 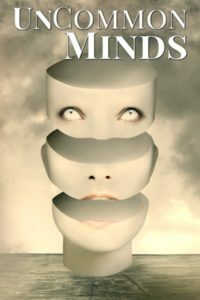 This “Collection of AIs, Dreamwalkers, and other Psychic Mysteries” features 20 stories by some fantastic writers. And me. I’ve been posting interviews with the authors all week but today I’m talking to the project’s editor, Jessica West. What attracted you to the UnCommon Minds project? Magical realism plays really well with speculative fiction, my favorite, so I just knew I’d love whatever stories the authors came up with. I grew up reading brief works, first Goosebumps and then Clive Barker’s Books of Blood. I still read mostly short works because I love getting to know new characters and finding out what happens, and I’m not always a patient reader. Most of the time, I want to know now. Collections like these are perfect. I get to blaze a trail through twenty or so stories with each collection. It’s heaven. On top of that, I love meeting new people and reading new authors. The UnCommon projects were just too tempting in every way. What did you enjoy most about the experience of putting the anthology together? For me, it’s the authors themselves. Editing offers you a chance to see someone at play and work simultaneously. I don’t know these authors the same way their mothers do, or just the way someone IRL knows them in general. But there’s an indescribable feeling of pure connection, however brief, when I make a suggestion and the author’s like, “OMG, you get it.” Few things are more rewarding for me than those moments. And in an anthology like this, you have that opportunity multiple times over. Not only during the editing process, but sometimes even afterwards in group chats or private chats. You learn which authors are also editors or graphics gurus, and I love to see how they work in a different role as well. Deanne Charlton is incredibly sharp. She keeps me on my toes! Getting to know the minds behind the stories is undoubtedly the best part. What do you hope readers will take away from UnCommon Minds? I hope there’s at least one story that makes them laugh, one that makes them cry, one that makes them think, and one that they can return to again and again. (Hmm… that sounds like it’d be a quote or something. Sorry if I accidentally stole someone’s inspirational FB meme. Anyway…) I think that’s what I love the most about anthologies, that reliable variety. When I’m in the mood to read but I’m not sure what I’m in the mood for, I can pick up one of my collections and just get after it. Each story only takes about half an hour, give or take, so I can satisfy various envies (ahn-vee: Cajun French for desire) in one sitting. I have this one collection that I’ve read so many times, the cover literally fell off. I hope UCM becomes that book for others. What are you most proud of about UnCommon Minds? I want to say the authors again. Can I give the same answer twice? Seriously, though, it’s the authors. I know I can be a bit overwhelming—some say terrifying, but I’m really not that bad, I promise J —but they power through like champs. No matter how hard I push or what kind of challenge I toss their way, they make the magic happen. I have a great deal of admiration for our UnCommon authors. Watching them take their stories from Point A to Point B, and seeing the end result, I couldn’t be more proud if I’d written the stories myself. I sometimes call them my author babies because I feel like a proud mama. Hopefully if they catch me doing that it’s endearing and not condescending. O.O And those covers! My, God, those covers! Rebecca Poole is something else altogether. And so incredibly easy to work with. And I gotta mention Chris Godsoe and Sessha Batto as well. So much talent in the whole crew, really. I’m proud to be a part of it. Any plans to do more anthologies? Gawd, yes! I work with Daniel Arthur Smith and his amazing company of authors on the Tales from the Canyons of the Damned collections. We’re gearing up for a special Valentine’s Day edition as we speak. I’ve also worked with my good friends Alex Nader and Joriah Wood on a couple of collections, and would do so again in a heartbeat if called upon. Samuel Peralta is cranking out collections like a machine, and I’ll be working on a couple of those as well. Next up on the docket for Sam (on my calendar, but there are many more!) is Alt. Chronicles; Legacy Warrior. 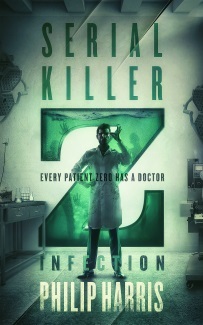 The authors have been great so far. Looking forward to meeting many new-to-me minds as we finish editing this collection and get started on future works, and maybe even revisiting a few familiar voices. Between Alex, Dan, Sam, and Pav, I’m pretty well booked for anthologies for a few months. I don’t plan on taking on any new anthology projects until the summer, but I tell ya I’d be hard-pressed to say no if an opportunity came up. Whew, that was fun! Thanks again for having me over at your corner of the web, Philip. If your readers enjoy the UnCommon collections, they might also consider picking up a copy of CLONES: The Anthology (for those who prefer Sci. Fi.) or Manifest Reality (written with fans of Horror in mind). I could also recommend some good romances, with or without fantastical elements. Anything by Meg Collett or Margaret Locke is bound to be good. And, of course, there’s the Urban/Paranormal Fantasy Pav and I wrote, Sin Eater. Readers have likened it to Supernatural, so fans of the show would probably enjoy Sin Eater. Readers or authors can reach me via email at jpwest6 (at) gmail (dot) com with any questions or to chat. Or just look up West1Jess on your preferred social media network. I’m just about everywhere. A big thank you to Jess for taking the time to answer my questions. CLICK HERE to get your copy of UnCommon Minds from Amazon today. Enter into the hidden world of the mind, where the laws of nature don’t apply and nothing is as it seems. Straight from the minds of 20 UnCommon Authors come tales of tragedy, triumph, and bittersweet gratitude. You’ll find augmented realities and mental persuasion that force you to question everything. Stories of military suspense, psychological horror, dream walkers, and psychic mediums await their turn to crawl into your head.